A smartphone dating game turns the Village Blend into a hookup hot spot - until a gunshot turns the landmark coffeehouse into a crime scene. As Village Blend manager Clare Cosi fixes a date for her wedding, her ex-husband is making dates through smartphone swipes. Clare has mixed feelings about these matchups happening in her coffeehouse. Even her octogenarian employer is selecting suitors by screenshot! But business is booming, and Clare works hard to keep the espresso shots flowing. Then one night, another kind of shot leaves a dead body for her to find. The corpse is an entrepreneur who used dating apps with reckless abandon - breaking hearts along the way. The NYPD quickly arrests one of the heartbreaker's recent conquests. But the suspect's sister tearfully swears her sibling was framed. Clare not only finds reason to believe it, she fears the real killer will strike again. Now Clare is "swiping" through suspects in her own shop - with the help of her globetrotting ex-husband, a man who's spent his life hunting for coffee and women. Together they're determined to find justice before another shot rings out. ©2018 Cleo Coyle (P)2018 Blackstone Audio, Inc. This writing team produces yet another winner! I just love these bright, articulate, and zesty cozies! Every book in this series keeps getting better!! I can not wait for the next one!! 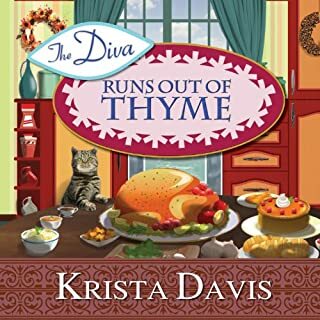 In this exciting and entertaining tale, we get to meet many of our old friends, like Tuck, Esther, Madame and Nancy as well as gain some new characters to love. 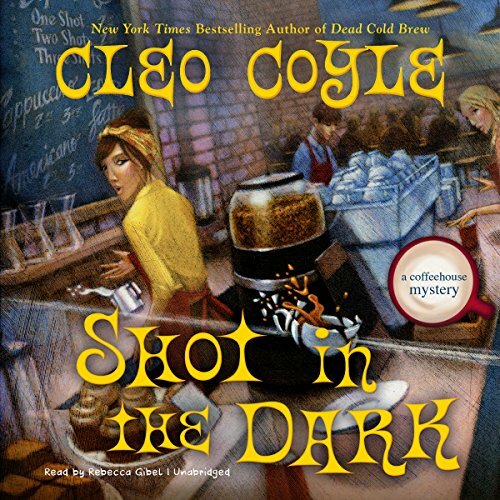 Cleo Coyle and husband Marc Ceresari certainly know how to write the consummate Cozy mystery. We have the upcoming wedding of Claire and Mike, which readers have been eagerly awaiting, the continuing relationship between Joy and Franco and even some growth on the part of Matteo Allegero! I truly enjoy how this pair of writers manages to give us plenty of character development, and plot not related to the murder, but then ties everything together in the end. You feel as though you are visiting with friends you’ve known for years, but each book is a revelation of its own. This particular book centers around an online dating app called “Cinder” and the owner’s involvement in the murder. Being of an older generation oI found Claire’s revulsion with the world of dating apps completely understandable, but also found the information given by the younger characters interesting. It certainly shows how the world has changed, especially the dating world. As the story progresses, a new street drug called “sticks”is introduced through an investigation Mike is working on. When the murders Claire is looking into become entangled with the drugs, it can have deadly consequences. I have read every book in the series multiple times and can say that they get better with each book, which is rare with series that go on as long as this one has. The writing continues to be tight, the characters grow, but stay true to who they are, and you don’t find the laziness that creeps into so many series, especially as it entails the murders. So many books you pick up these days, you can tell whodunnit by page three, these keep you guessing until the end! I recommend this book, and the entire series highly. My only complaint, was the narration. 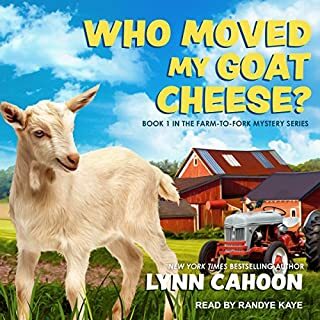 This is the very first book in this series that I have listened to, I have read all the others in book format, but this particular narrator has one female voice and one male voice, no differentiation for characters or ages. Her voice is fine and not irritating to listen to, her pace is okay, it just wasn’t a good performance. I will be buying the book to read myself so I can “hear”the characters the way they should be heard. I don’t think I would buy another book narrated by Ms. Gibel as I really didn’t care for her performance, but the book itself it wonderful. 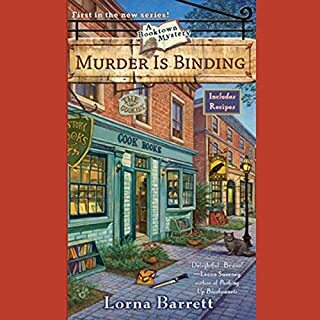 I’m always ready for a new adventure with Clare in The Coffeehouse mystery series, and this one did not disappoint. 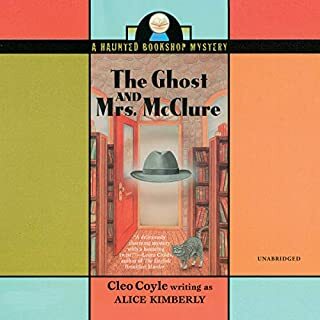 Cleo Coyle has crafted a great cozy mystery with all the twists of previous installments. I highly recommend this book and series, but recommend starting with the first in the series. The Village Blend coffee shop has a new distinction – best hookup hot spot. A new dating app has smartphone users swiping at possible dates faster than Clare Cosi and her baristas can keep the coffee flowing. Clare’s ex-husband Matt fills them all in on the finer points of the Cinder app where Cinder-ellas meet Cinder-fellas. Special ring tones signal when a candidate arrives in the man’s pumpkin box, and it is up to him to take the chance by swiping right or rejecting the young maiden by swiping left. All the presenting and choosing are done quickly, making way for a new round of candidates. Once the decision to meet occurs, much of the in-person side of dating takes place in public places, like the coffee house we all love. One evening shots sound at The Village Blend. While everyone ducks, Clare springs to action and climbs to the second floor lounge. A young woman has a gun pointed at a man cowering in his seat. She is spewing the sordid details of their Cinder love match gone terribly wrong. Clare talks her down just as police arrive. The publicity kicks in just as quickly as nine different videos of the event go viral, turning this hot spot into a dead spot. Before Clare can turn her thoughts to how to recapture her audience, she meets her former mother-in-law Madame for a late dinner, saving her from abandonment from her own over-65 dating service beau. Clare can’t avoid further trouble when she sees a dead woman floating in the Hudson River. The floater turns out to be an executive from Cinder! As their way of fighting back against the bad publicity, the entire Cinder staff cooks up an event to be held at The Village Blend with an audience of paid party goers to guarantee excellent attendance. While Clare agrees to the stunt, she cooks up her own side event. She has a picture drawn of the offending male and passed from barista to barista so they all know who to look out for. Then she fires up her own cell phone to join Cinder and hunt him down herself. A series of rowdy events full of mischief and mayhem follows, events not to be missed in the history of The Village Blend coffee house. Barista Esther hosts a poetry slam in the second floor lounge that is wildly popular. The crowd spills onto the outside sidewalk. Thanks to Cinder’s initiative, The Village Blend is back in business. But more occurs at this party to beat all parties than meets the eye. One very dead body sends Clare down a new avenue of espionage, betrayal, and undercover acts that undermine several companies and individuals. A possible new suspect is found when Clare pieces together many of the new clues. I enjoyed the build up to the big comeback party when it seemed everything took off in many directions. Clare was determined to find who put the woman in the Hudson River and make sure he was punished. In doing so, she becomes entangled in discovering several corporate crimes. She takes dangerous chances to track down a killer. Many people become involved in the treachery that is uncovered, and I admire Clare’s persistence. 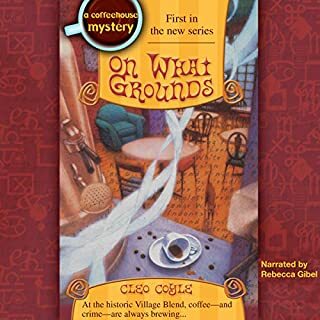 I thoroughly enjoyed this 17th entry in the entertaining Coffeehouse Mysteries by Cleo Coyle (real life husband and wife team Alice Alfonsi and Marc Cerasini). It began with an event that caught my attention and touched a note in my own life so I was invested in following along on Clare’s quest to find several criminals. I was unable to turn this off until we came to the conclusion that was complex yet well explained. An excellent choice in reading. Narrator Bernadette Dunne does her usual fantastic job of creating distinct voices for these characters. The most notable is Madame. The change from her to Clare or others was exquisite. I am a recent fan of these books and particularly enjoy the audio versions. I can't wait for the next to be released. 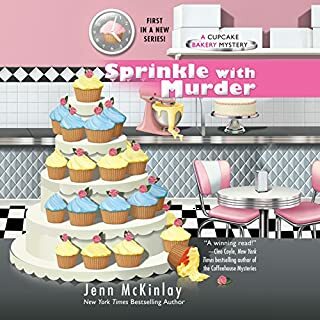 Highly recommended for fans of cozy mysteries. Another suspensful, intriguing and romantic story! she really works the characters together in a magical way. I have thoroughly enjoyed all if these books as I am enjoying my inferior coffee. The fact that Claire can experience a shooting at her coffee shop & later find a dead body in the river, then come home after & cook dinner and sleep with her fiancé is just... odd. That’s not a normal response to such trauma. Any normal person would be rattled and exhausted from the experience. Or when Claire wakes up from a night terror and her first instinct is to again (you guessed it) sleep with her fiancé. Huh? Weaving in the romance is fine, but timing is everything. So much of what happens in this book is unrealistic & it gets frustrating. Also, Mike’s jealous possessiveness of Claire is getting old. The mystery is fun, but the flaws kind of ruin it.